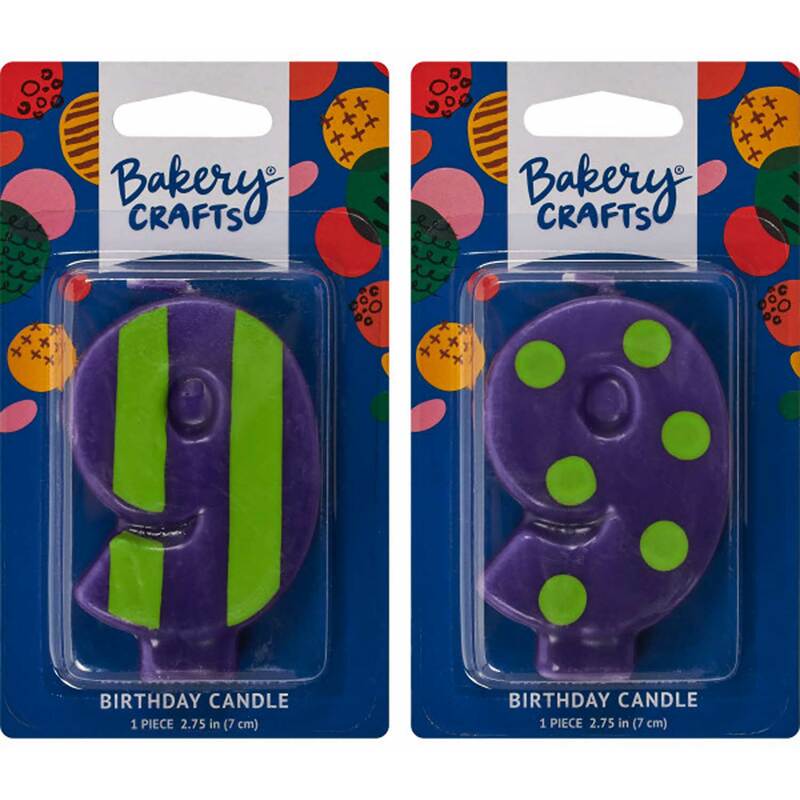 Brand: Bakery Crafts 58-9309 Units: 1 Bright colored candles in assorted colors with stripes and dots. Measures approximately 1 7/8" by 3". Color and style of each number will vary and may be completely different than picture. Bright colored candles in assorted colors with stripes and dots.